Singapore - March 15, 2019—Nickelodeon’s Kids’ Choice Awards 2019, the biggest, slimiest party of the year for kids, will feature appearances from today’s most popular stars including: Ariana Grande, Adam Sandler, Chris Pratt, Jason Sudeikis, Noah Centineo, Lana Condor, Joey King, Liza Koshy, Paris Berelc, Caleb McLaughlin, Kiernan Shipka, Ally Brooke, Josh Peck, Lilly Singh and David Dobrik, along with cast members from Disney’s Aladdin (Will Smith, Mena Massoud and Naomi Scott), Shazam! (Zachary Levi, Asher Angel and Jack Dylan Grazer) and Dora and the Lost City of Gold (Isabela Moner and Eugenio Derbez). Hosted by music mogul DJ Khaled, Nickelodeon’s Kids’ Choice Awards 2019 takes place in Los Angeles, California on Saturday, March 23rd and premieres in Asia on Monday, 25 March at 5pm (WIB) and 6pm (MY, PH, SG), with a same-day encore at 9.30pm (SG). Catch the replay on Tuesday, 26 March at 11am (WIB), 12pm (MY) and 3pm (PH). Fans can cast votes on the Kids’ Choice Awards website, KCA.Nick-Asia.com and on the Screens Up app on supported iPad, iPhone and Android devices in the US. This year, eight Pinoy stars vie for the coveted orange blimps under the “Favorite Pinoy Internet Star” and “Favorite #Trending Pinoy” categories. Fans can also cast votes through the Nick Play app (Singapore and Indonesia); cast their vote through social media on Twitter using #KCA and the hashtag of their favorite nominee; and for the first time ever, Nickelodeon will be enabling voting on specific posts on Instagram. For the latest on this year’s show, fans can stay up to date on all the news by liking Nickelodeon on Facebook and following @Nickelodeon on Twitter and Instagram. For the first time ever, fans can also slime themselves and their friends on Instagram with Nickelodeon’s Augmented Reality camera effect. Kids’ Choice Awards 2019 is sponsored by Barbie®, Chobani® Gimmies™, Cinnamon Toast Crunch™, Goldfish® Epic Crunch™, Lysol® and The LEGO® Group. In the Philippines, Toy Kingdom is sponsoring the KCA Toy Run, wherein kids can visit the nearest Toy Kingdom store to vote for their Favorite #Trending Pinoy and Favorite Pinoy Internet Star for a chance to win a PHP100,000 toy shopping spree. Media outlets can access photos and video for Nickelodeon’s Kids’ Choice Awards 2019, as well as request media credentials, by visiting nickkcapress.com. 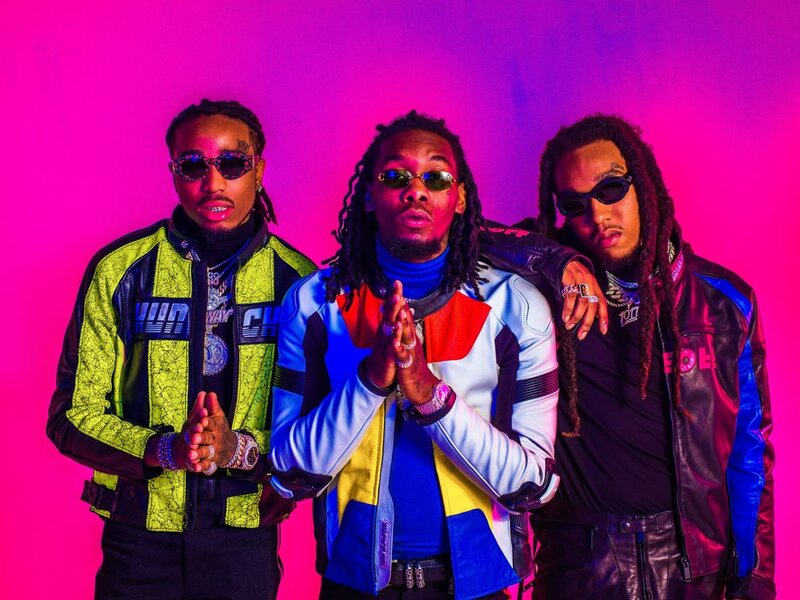 Atlanta superstar multiplatinum hip-hop trio, Migos, is comprised of Quavo, Takeoff and Offset. The group released their second consecutive #1 album on Billboard’s Top 200 Chart ‘CULTURE II’ in January of 2018. The album has since been streamed over 1 billion times and is RIAA Certified Platinum. Migos have become an undeniable chart force, earning 10 Top 40 hits, and all three members have built impressive chart résumés on their own. Migos made history by tying The Beatles for the most simultaneous entries (14) on the Billboard Hot 100 song chart. Upon the 2018 release, the group performed on Saturday Night Live, The Tonight Show Starring Jimmy Fallon, graced the cover of the January issue of Rolling Stone and 4 special winter issues of XXL, and was nominated for Best Rap Album and Best Rap Performance at the 2018 Grammy Awards. Hailed by Rolling Stone as “arguably the most influential group – in any genre – of the past few years,” Migos recently picked up an American Music Award, a BET Award and the ASCAP Vanguard Award.